Robert and Twila Stapel of Topeka celebrated their 63rd wedding anniversary on Tuesday, Feb. 10 with a dinner hosted by their children and grandchildren. 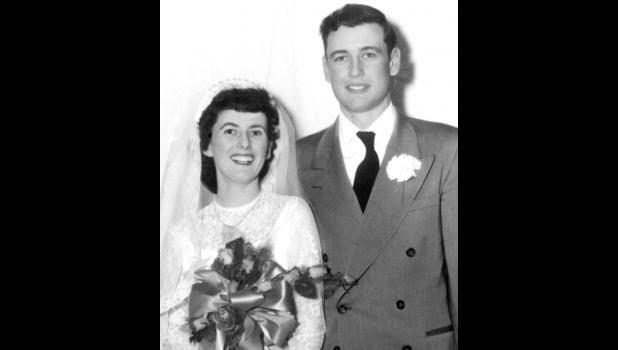 The couple was married on Feb. 10, 1952 at Hoyt United Methodist Church. Robert served in the Korean War and was awarded the Purple Heart. He was employed by the DuPont cellophane plant in Tecumseh for 34 years, retiring in 1992. Twila graduated from Washburn University and worked for 25 years as a social worker in Topeka. They have three children, Rita Chapman and her husband, Tom, of Hoyt, Rhonda Sand and her husband, Bill, of Topeka, and Kyle Stapel of Meriden. They also have three grandchildren, Lindsey Sharp and her husband, Kevin, Douglas Sand and Kyle Stapel, and one great-grandson, Ryan Sharp.